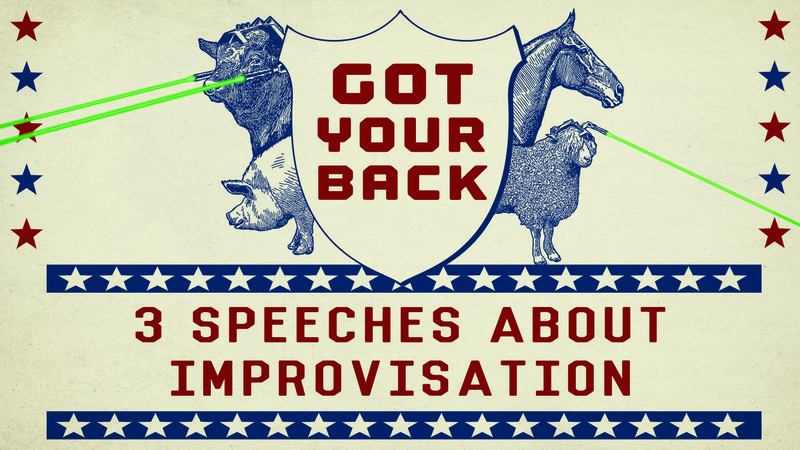 Got Your Back podcast recently put on a live show where 3 of the great minds from the Austin improv community came to speak at length on topics of their choosing. Each of the speeches I personally found to be inspiring in their own unique way, and I really can’t thank the speakers enough for taking the time to create such thoughtful content. The night was rounded out with a couple of original songs played live by Justin Soileau. Please enjoy this audio from the show that you can either download here, find on itunes, or stream the episode below. Also consider coming out to the next Comedy Nerd-Out on the first Sunday of the month at 7pm at ColdTowne Theater.